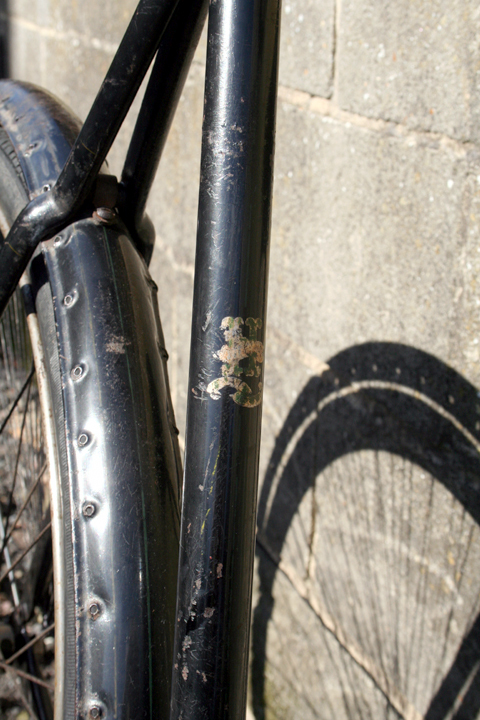 I bought this lovely old Hazlewood ‘Grande’ Ladies cycle because I used to own a veteran Hazlewood motorcycle so I was already familiar with the marque. The company had a stronger export market than its home market, so very few people have heard of Hazlewood in this country. 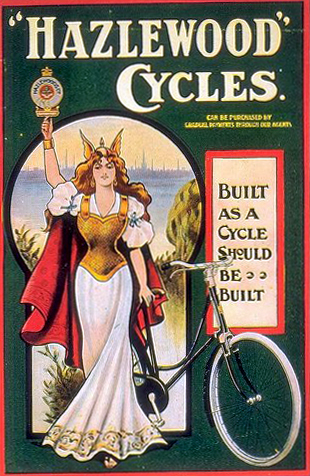 It’s amazing how many bicycle manufacturers were operating by the first decade of the 20th century. 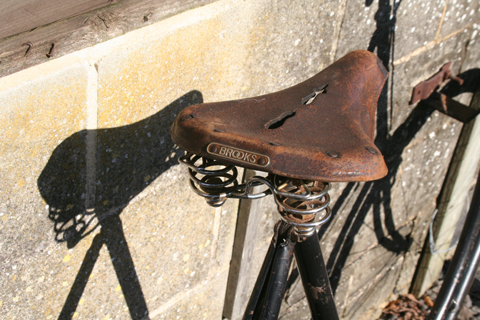 The total number of cycle manufacturers throughout cycling history is estimated at 15,000. What surprises me even more is how, when small bicycle companies ended production and closed down, within 10 years or so virtually all records and knowledge of them ceased to exist. This can even be true of large manufacturing companies. In discussion with other enthusiasts, I’ve discovered that when a production company goes into liquidation, often within a week the factory has been cleared and stock scrapped or sold at auction. 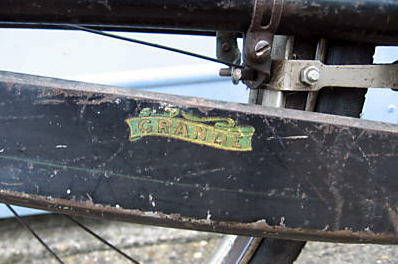 Of course, bicycle companies have always had to operate in very competitive markets. The brands we’re aware of today are generally the successful ones. Usually that success means they branched out into motorcycle production, even if for a short time, or were bought out by a larger cycle concern. 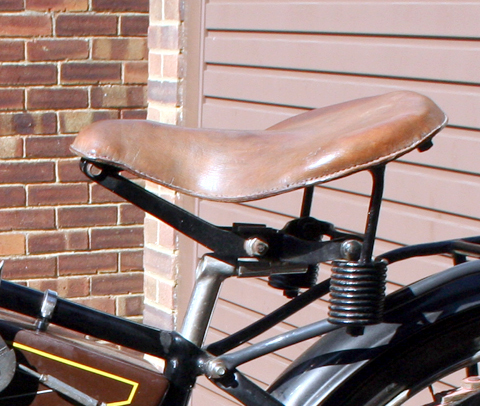 The bicycle manufacturers whose histories are now lost are usually those with small workshops. Some were, for example, connected to a bike shop that decided to badge its own brand. 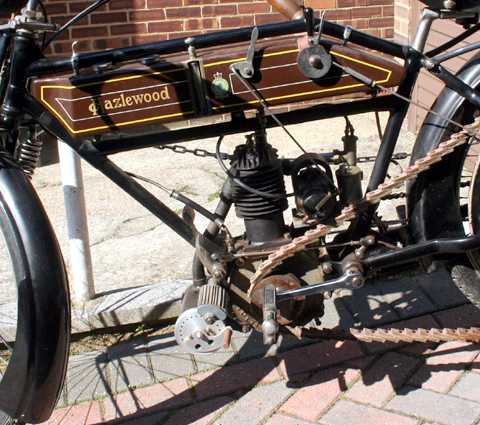 Luckily, because Hazlewoods Ltd went on to manufacture motorcycles, this cycle maker’s history has been, at least in part, preserved. A year or so after I installed this page onto the www.OldBike.eu website (and also on my sales website www.BuyVintage.co.uk) with an appeal for information about the company, I received an email with full details of its history. As a result, this respected company has now been preserved and I’ve forwarded the details to the Veteran Cycle Club and the Vintage Motorcycle Club for them to update their records too. The company started business in England in 1905 as Hazlewood Ltd, Albion Mills, West Orchard, Coventry and at Buckingham. 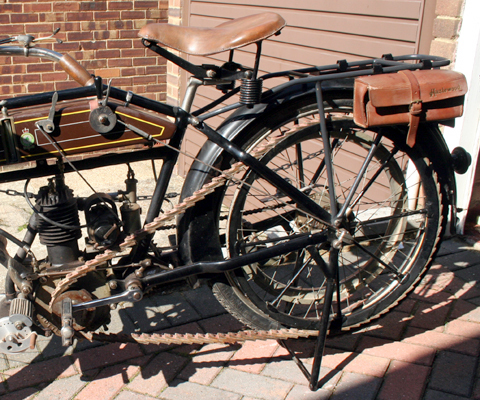 The company once claimed to be the largest motorcycle producer in Europe because they had such a large export business. They were actually better known in foreign countries than at home in England. They concentrated more on utility than on special sports machines, and although they built 250, 300, 350 and 500 J.A.P. engined singles, their greatest reputation was gained with big 500, 650, 750 and 1000cc Side Valve V-twin machines with own and J.A.P. power units. Production in Coventry ceased in 1922. The Buckingham site continued after 1922 to supply spares for existing models, but that too closed down soon after. There appears to be some confusion over the spelling of the company name. 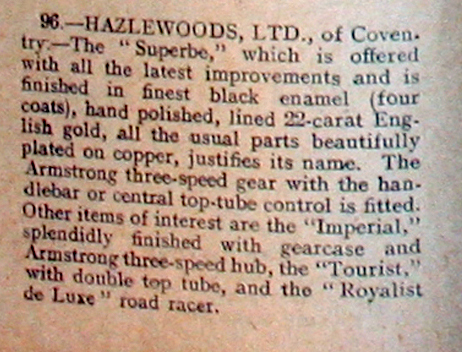 It is often mis-spelt as ‘Hazelwood.’ Even the ‘Made in Coventry Motoring Association’ can’t seem to get it right. My name is Boris Faulconbridge and I am a descendent of the Hazlewood family. I picked up your website when looking for information on the family. As you asked for further information on the company I think I can help you. The Coventry Hazlewoods are all descended from Samuel Hazlewood born in 1791 in Hanwell in Oxfordshire. He was a blacksmith and he is my great great grandfather. He had eight children: two daughters and six sons all trained as blacksmiths by himself. The three we are concerned with are William, born 1830, Samuel, 1832, and James, 1835 (Remember him!). Hanwell was a small village just north of Banbury and couldn’t support all those blacksmiths, so from 1850 onwards they began to move away. William went to the Birmingham area, Samuel to Swindon and James to Plumstead. They all married, had children, and worked in various manufacturing industries. In the early 1870s, James moves to Coventry and founded ‘The Hazlewood Cycle Company’ to make Ordinary bicycles in a small workshop in Bishopgate Green, Foleshill. He was quite successful, and in the early 1890s he went into partnership with John Warman, a wealthy property owner who put up the collateral to buy land at West Orchard from Cecil Irby. They build a factory to manufacture bicycle and tricycles. 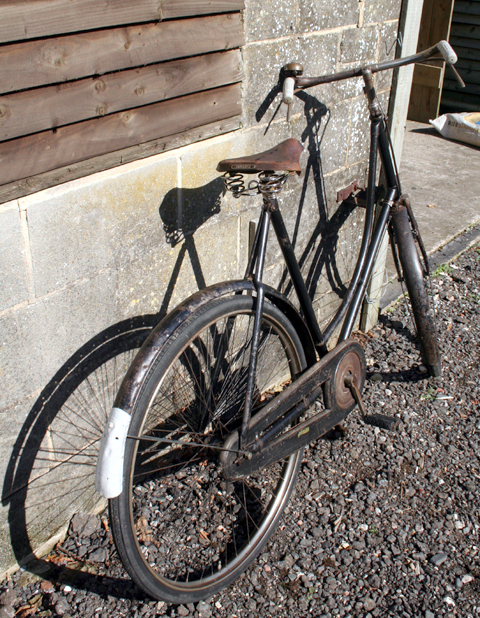 John Warman was already a cycle manufacturer, trading under the name Warman & Co, as manufacturers of Triumph bicycles. Around 1880 William Hazlewood (and possibly Samuel junior and Samuel’s son Joseph) moved to Coventry and lived in houses adjacent to West Orchard. William described himself as an ‘iron moulder’ (making castings) and Joseph as a ‘general smith’ (working with all types of metals). James and his sons James junior and William now described themselves as bicycle manufacturers. About 1895, John Warman sold up and emigrated to America. 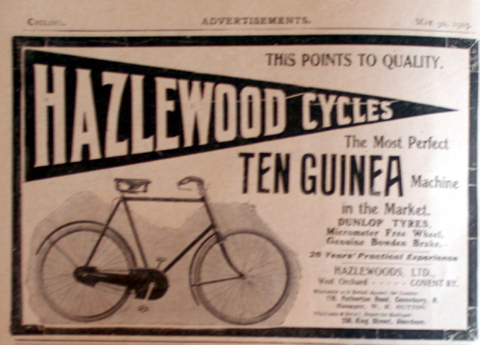 The Hazlewood Cycle Co changed its name to Hazlewoods Ltd (note, not to Hazlewood and sons or bros). This is probably because there are two generations of brothers and cousins involved in the company and a possible reason for this is that James did not have the money to buy Warman out, but his father Samuel senior did. Also, he insisted on his other sons and grandsons were included in the company. Samuel senior had given up blacksmithing in the 1870s, had taken over the Red Lion pub in Hanwell and had become a ‘dealer in licensed goods and victuals’ so he had probably become quite prosperous (at that time he was employing a housemaid). By 1905 William and Samuel senior had died and James senior retired. 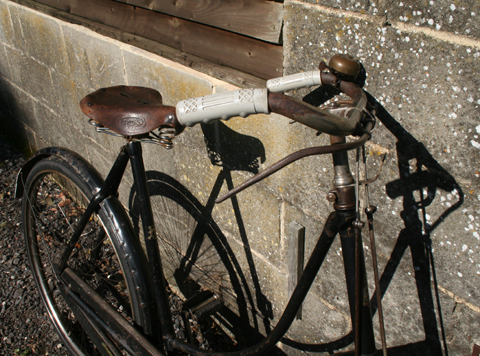 William Henry, James’ son, has left the company and moved from Birmingham and gone into partnership with a Rowland Todd as ‘Manufacturers of Cycle, Motor accessories and bottle stoppers.’ They took out various patents which were later used by Hazlewoods, so the parting was likely to have been amicable. James junior and Joseph, together with some more descendents, were now running the company and they started making sidecars for motorcycles. 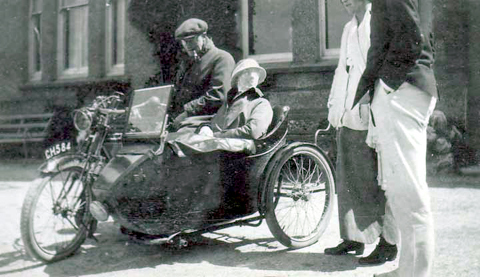 In 1908 James junior died and his wife Mary became company secretary, working from home. 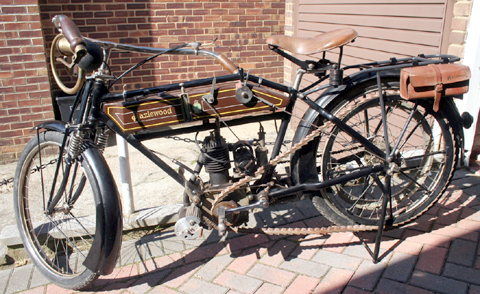 In 1911 The company began manufacturing motorcycles. This appears to coincide with the appointment of Alec Walsgrove as works manager, so there is a possibility that he was brought in to provide the necessary expertise. He has his name on several Hazlewood patents after this time. In 1923 Joseph (the last of the original founder members) died, and in 1924 production ceased and the West Orchard factory was sold. This was probably due to the large number of descendants and the need to pay them. A new company the New Hazlewood Cycle Company Ltd was formed, probably by the descendants of James, to make cycles, with premises in Upper Well Street. This wasn’t very successful and went out of business in 1928. One of the problems was the large number of descendants. For example, Joseph (my grandfather) had 10 children, 6 were daughters and they had a lot of children too; my mother had 7. Samuel, Joseph’s father, had 6. The same was true of his brothers and so on. This is the most likely explanation of why the company folded at the peak of it’s production. The reference in your notes on the company to a Buckingham factory puzzles me as I can find no reference to a factory or workshop outside Coventry unless you mean the old Buckingham engine works in Spon Street which isn’t far from West Ochard and could have been used, I suppose. The last of the company’s workshops was on the corner of Radford Road and what is now Beake Avenue. That one was owned by my uncle Frederick (Josephs’ oldest son) until Nov 1940, when it was completely destroyed by German bombs. I hope you find some of the above useful; it’s nice to know someone is interested enough to try to save some of our industrial heritage. 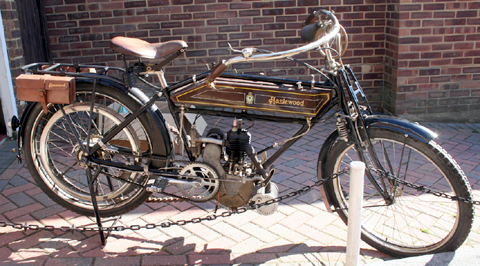 I note that you used to own a Hazlewood motorcycle and have one of the bikes. 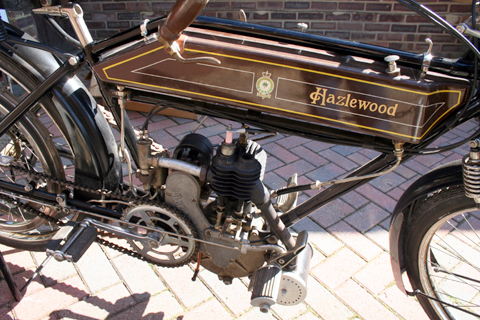 It has always been my ambition to own a Hazlewood but have never found one. If your friend ever changes his mind about selling his, I would be very interested. I owned this motorcycle several years ago. It’s now owned by my friend Pascal in France, and has had quite a bit of work done on it to improve its mechanical operation. 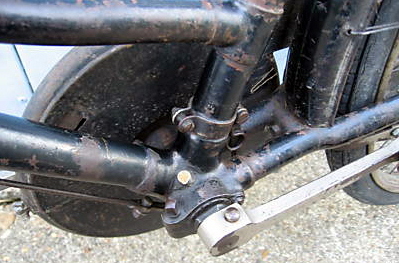 The 3-speed Armstrong rear hub has been rebuilt, and it now functions well, with a clutch.There’s also a new magneto. It’s the only known survivor of this model. After I sold the machine, I was contacted by a grandson of the Mr. Hazlewood who built these machines! Pascal reports that it starts easily, the engine is strong, and it runs well.